Ever you ever wonder who are those people with whom you interact or more files to send more? If you’ve raised you and you did not know how to find out we have the solution. 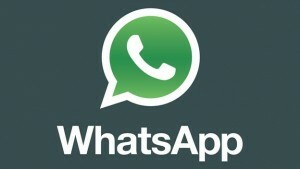 The latest update of WhatsApp lets see who speak more in a few simple steps. Of course, this new feature is present only in iOS devices for now, so you can not use other terminals than an iPhone or iPad. The owners of a smartphone with Android will continue to wait for now. Apparently, the latest update of WhatsApp that allows see who speak more comes as one more method to statistically measure our use of the application after the appearance of double blue tick many headaches that have more than one. First we must open WhatsApp and click on the icon “Settings”. Once we get inside and have to select “Account”, where we see several options. Among them we must click on the option “Storage use”, which is one that includes all this information. It may take a while to load (at least the first time it is opened), but once here we see a date with ranking users and groups with whom we sent messages, including the exact number of these. In addition, there are two tabs to display another option at the bottom of the screen: the number of megabytes transferred in every conversation, allowing users to check how people and groups more files are sent. Since the company is planning to introduce this new feature in Android, so in a few weeks will also come to their devices the latest update of WhatsApp for Android that lets you see who’s talking.